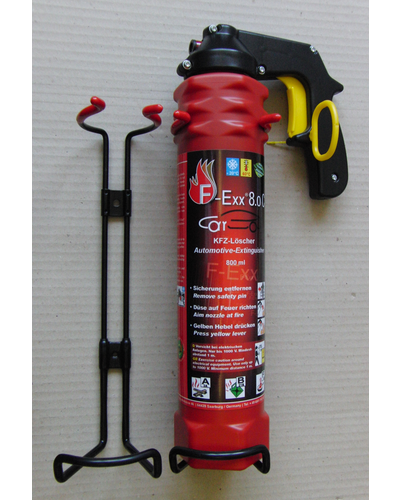 The car bracket is a corrosion resistant bracket specifically made for F-Exx 8.o extinguishers which allows for a solid and secure fastening of the fire extinguisher in the vehicle. The bracket is made of 5mm thick steel wire. Rubber contact areas guarantee for a solid and rattle-free fit. 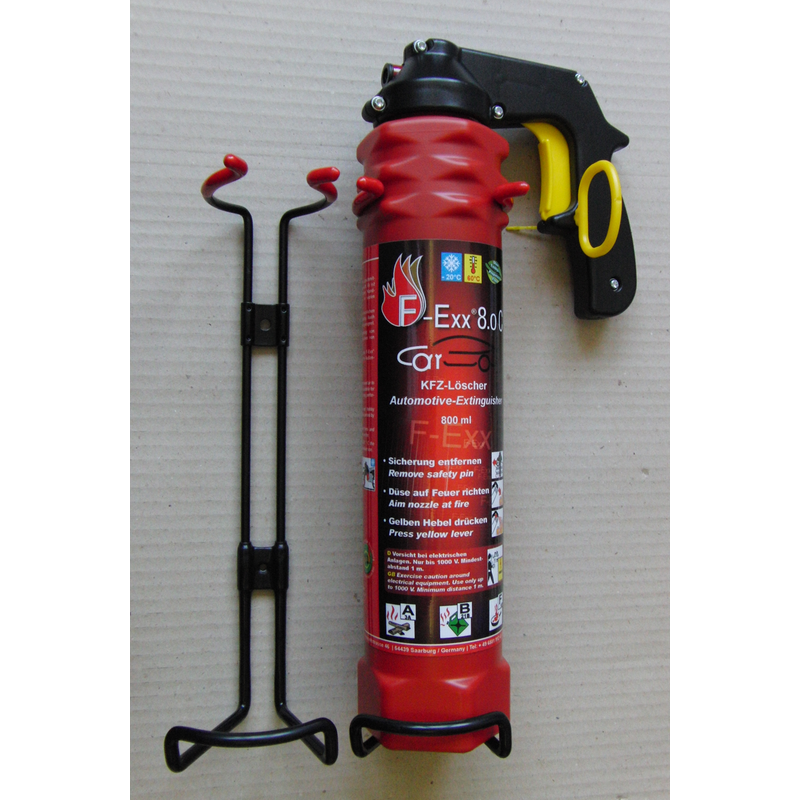 The car holder weighs 170 grams and can be mounted via 2 perforated retaining plates. Delivery in 2-3 business days, if available. Otherwise up to 14 business days. For shipping we will charge you 4,95 € per order and delivery address in Germany. 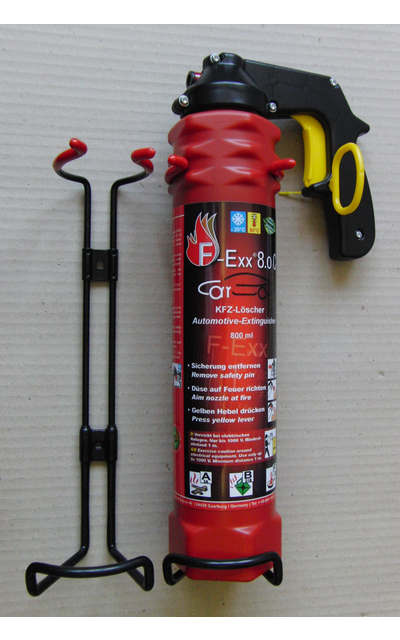 With a minimum order of 25,00 € per order and delivery address in Germany we pay the shipping costs.